Here you'll find all of your 3.8 V6 performance needs. If we don't carry it...chances are that it doesn't exist and we're probably already working on developing it! With this new web site, you'll see daily updates, new products and projects, so visit often! This family owned business is proudly owned by Tom Morana, who personally has almost 40 years of engine building experience (his specialty being Ford engines of course). Tom has a long history as a trophy, award winning, and record holding Drag Racer, since the 60's, 70's, 80's & 90's at Drag Strips like, Cayuga, St. Thomas Dragway, London Motorsports, Toronto International Raceway, Niagara Dragstrip, Grand Bend, and Deseronto (to name just a few) with his 1965 Comet, 62 Falcon, 71,72 Pinto, 81,82 Mustangs, and of coarse lots of street racing! His love and interest for the Ford 3.8 V6 engines grew over the years, and with his racing and engine building knowledge, realized the potential and growing demand for the 3.8 V6 Ford owners who wanted more power. 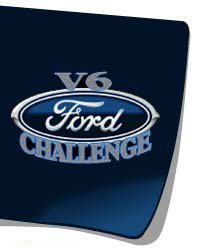 In 2003, Tom found it impossible to continue his well-established Machine Shop Business ( Affordable Performance ) and find time to dedicate to his projects for the 3.8 V6 communities, so at that time; he decided to close his Machine Shop business, in order to focus on research and development of the under rated 3.8 V6 Ford engine (as Morana Racing ) with Affordable Performance being his motto. We hope you'll enjoy your time while visiting our site.